Some people like wine or chocolates, some people like fitness or spa treatments and buying clothes is a form of treatment too - or it could be an obsession. Well, shopping can help, keep us company in our isolated world and turn us away from what we do not want to face. Buying offers temporary relief from something that simply won’t go away. And the typical reason, why we keep stuff is: we think we may need it in the future, we cannot decide what to do with it and it gives us sense of security or it has value for us. when you're cleaning out and organizing your wardrobe. Throw out what haven’t worn for a year - and be ruthless when you edit! Fashion should be fun and inspiring plus it is also an investment - buy quality not quantity! Now, open your wardrobe to discover who you are and get rid of the clothes which you do not wear. 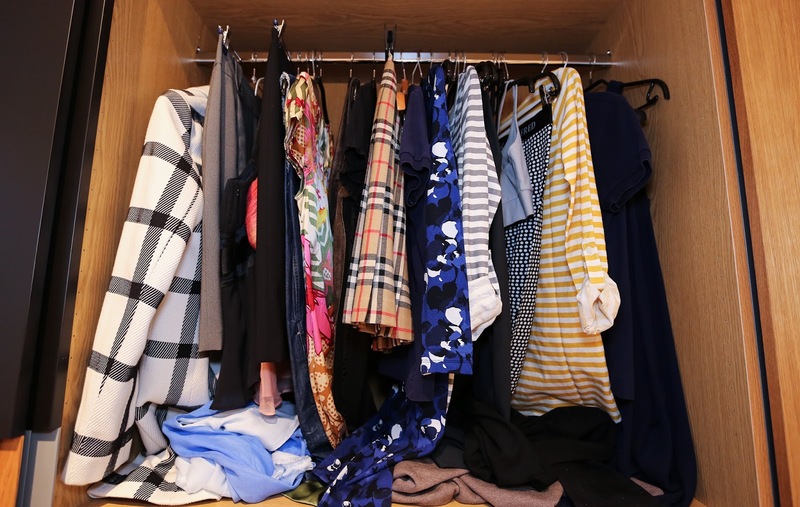 We wear only 20% of the clothes we own and probably only 10% on a regular basis and the other rest is just decoration... and the key to a nice successful wardrobe is finding a balance between fullness and emptiness. Your Wardrobe should be the Diamante of your home and should only contain amazing choices, it is much easier to be inspired when you see 32 remarkable pieces than when you see 1001 pieces and the most are unremarkable.